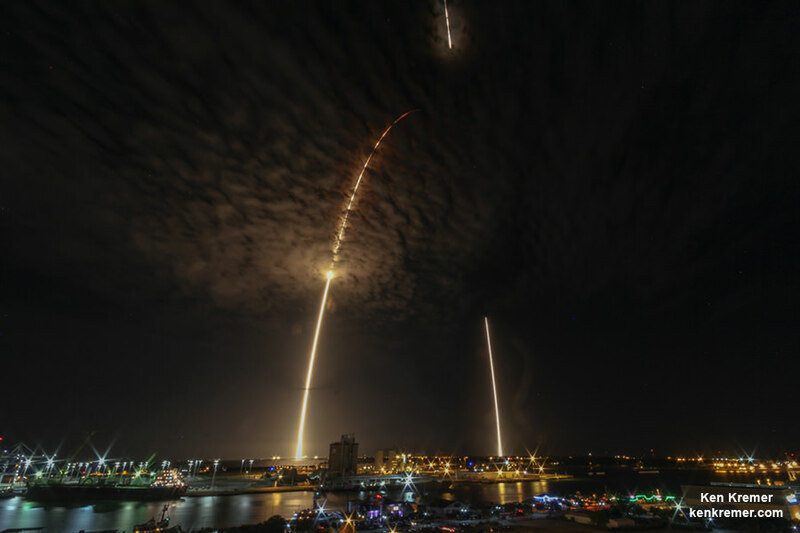 I was very fortunate to watch the launch and landing from the terrace of The Inn at Cocoa Beach, located just east of the intersection of A1A and 520. It was striking how much closer the landing was than the launch, as of course it was. The double-sonic boom arrived after the engines shut down and could have been mistaken for fireworks. Also striking was how routine it all seemed. Pretty much like how science fiction writers portrayed rocket landings, with deployable legs and retro thrust. Gentlepersons.. RESTART your engines! You know what? I swore that I would never go back down to the LA area – lived there for 20 years and had my fill. BUT were I to get a job at Space X, I’d go.. dang fast too! They be doing the DEEDS! Next PostNext Lights in the Sky: Meteors, Reentry, or E.T. ?